Facebook announced that it is shutting down the Moments app on February 25. Moments by Facebook is an App used to instantly organizes the photos and videos on your phone by time, location and the people in them. The App will be shut down and removed from Google Play next month. Here's a recap of how the app works and it's not too late to benefit from it. 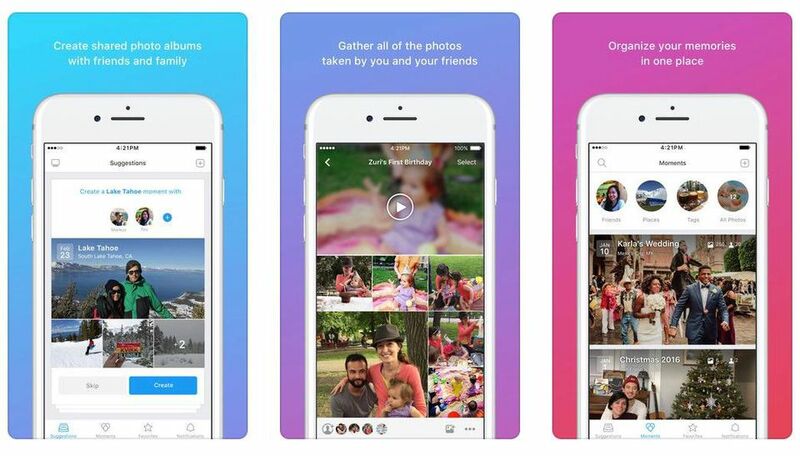 Moments by Facebook App can be used to create photo albums that you can share with your friends and family, so you can privately collect all the photos and videos you'll want to look back on. Here's what Facebook had to say concerning the shutting down of the Application. This app already has more than 50 million downloads and users, it has been seen helpful to users on Facebook who create private Facebook albums, and who wants to easily upload their images and videos to Facebook. So Sad to see it go, if you are using the app you can export all your photos and videos from the moment's App starting from May 2019. What are your thoughts on this article, comment below and don't forget to follow us on Facebook and Twitter.